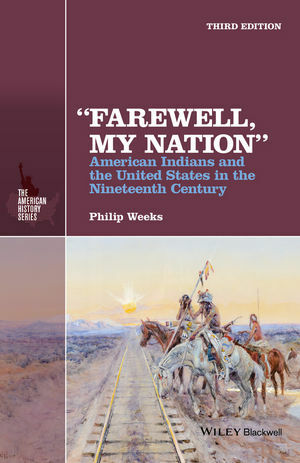 The fully updated third edition of “Farewell, My Nation” considers the complex and often tragic relationships between American Indians, white Americans, and the U.S. government during the nineteenth century, as the government tried to find ways to deal with social and political questions about how to treat America’s indigenous population. Philip Weeks, Ph.D., is Professor Emeritus of History at Kent State University, where, as a distinguished teaching award recipient, he taught American Indian studies, U.S., Ohio, and modern world history for many years. He is the editor or author of several books, including “They Made Us Many Promises”: The American Indian Experience 1524 to the Present (Wiley, 2001) and Buckeye Presidents: Ohioans in the White House (2003).